The 66th Dubrovnik Summer Festival was closed in front of St. Blaise Church on 25th August with a concert performed by the Symphony Orchestra of Croatian Radiotelevision, under the baton of maestro Zoltán Kocsis, with last year's Orlando award winners Croatian Baroque Ensemble and soprano Monika Cerovčec. The concert was preceded by a ceremony of Orlando Award for the best achievements in drama and music programme, and this year's winners are young actor from Dubrovnik, Nikola Baće and German Henschel Quartet. Orlando Award, traditionally awarded at the Festival by Croatian Radiotelevision, was handed to Nikola Baće for the role of Vuk Konavljanin in "On the Terrace", the third part of "Dubrovnik trilogy" by Ivo Vojnović premiered on August 9th and directed by Staša Zurovac. Henschel Quartet earned the Award for the best musical achievement on a concert in Rector's Palace where they have masterfully performed works by Haydn, Schulhoff and Dvořák. It was one of the highest artistic achievements in the overall musical history of Dubrovnik Summer Festival, by the opinion of the jury for music programme Nikola Baće was handed the Orlando Award by the director of Croatian Radiotelevision, Goran Radman, while the Henschel Quartet will receive their Orlando on other occasion. At the very short closing ceremony after the concert in front of St. Blaise Church, Boris Svrtan and Nikola Baće performed famous fragment between Master Lukša and Vuk from the third part of the "Dubrovnik trilogy", and the Libertas flag is waiting to be raised again next year. 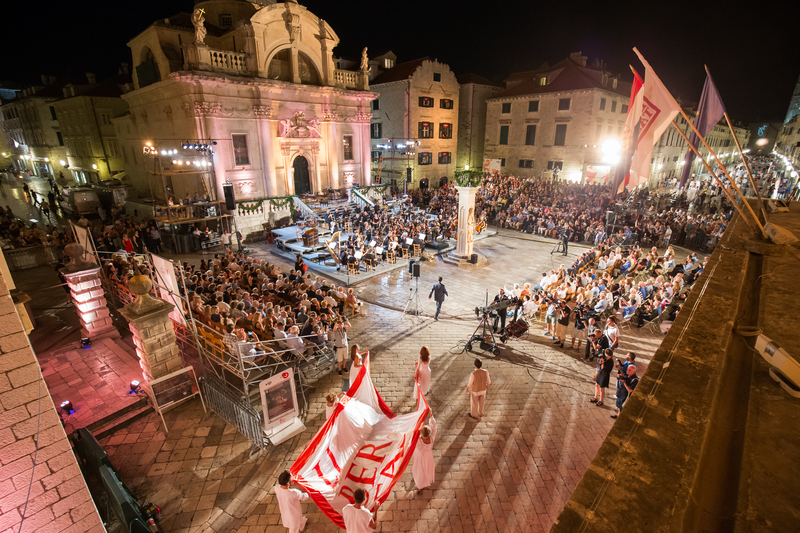 The 66th Dubrovnik Summer Festival has gathered nearly 2,000 artists from all around the world who have performed 75 theatre, music, ballet, folk, dance, film and exhibition programs, in 47 days, at 15 different locations in the city of Dubrovnik. This year there was an increase of 10.5% in online ticket sales compared to the previous year, and an increase in agency sales. Great interest of local and foreign media resulted in nearly 2000 media reports, while the press office accredited 246 representatives of local and foreign media. From 1st of July till 24th of August by recognized methodology "Google Analytics" Festival had 33,000 unique visitors.